Best Luck Inter 1999 Jewelry Manufacturer Co.,Ltd. Founded in 1982 Best Luck Jewelry has grown to become one of the leading jewelry manufacturers of high quality and service in Thailand. Our creative designs have become the prime sources and spread through worldwide markets for volume users. Currently, there are over 200 workers employed in the firm. The company profiles itself as a manufacturer of high quality Silver Jewelry, Gold Jewelry. A combination of implementing the latest technology and highly motivated and skilled staff are the key to take advantage to produce on mass production of all kind of sterling silver 925, and gold jewelry in any karats with high quality productivity and competitive prices with / without gemstones. 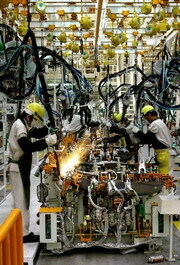 The company's principal export markets are the USA, EUROPE and ASIA. Encouraged by its wide customer base, Best Luck Jewelry also maintains a strong presence at leading international jewelry trade show. In 1999, Best Luck Jewelry have achieved the prestigious Thailand Jewelry Brand certification by the Department of Export Promotion. This is to create a clear perception of Thailand and Thai products in foreign countries and to familiarize consumers with the quality, uniqueness and reliability of Thai products. Our jewelry collections will also be shown at the Bangkok Gems and Jewelry Fair. Best Luck Jewelry which will show annually on March and September. Please check our news and event for the booth No. and time.